For those of you who’ve been living under a rock for the last 12 months or so, this case is primarily about Consent (or lack thereof). 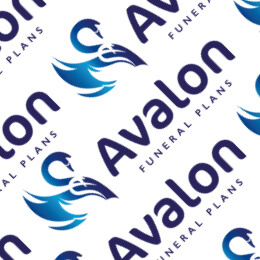 Avalon Direct Ltd (previously Plan my Funeral Avalon Ltd) first came to the attention of the Information Commissioners Office (ICO) as a result of an article in the Mail on Sunday dated 19th November 2017. 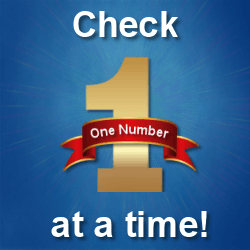 You should check the origin and accuracy of bought-in lists. You should screen call lists against the Telephone Preference Service (TPS), and only use bought-in lists for email, text or recorded calls with very specific consent. 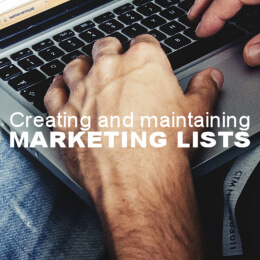 For in-house marketing lists, use opt-in boxes wherever possible. 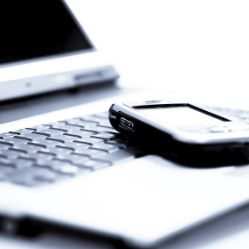 Specify consent to marketing by email, text, fax, telephone or by automated call. Ask for specific consent also if you want to pass details to other companies and make sure you name or describe those companies. 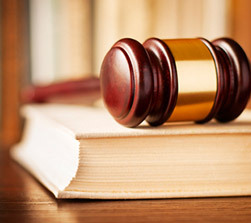 Managers now liable for TPS breaches? 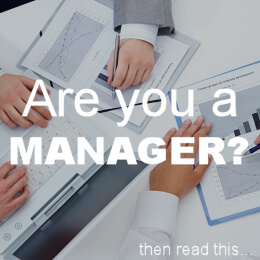 It’s safe to presume regardless of your job title that you tend to accept and obey the instructions of your superiors (senior mangers, directors) right? What if following those instructions could make you personally liable for the company’s actions? It’s not a new concept. The Financial Conduct Authority (FCA) has had similar powers for quite some time. Well now the Information Commissioners Office has it too. 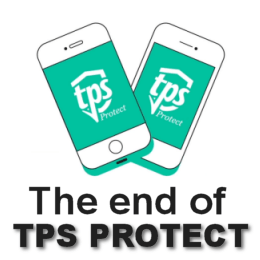 Do you know what the TPS Protect app is? Well if the answer to that is no, then you’re not alone. The Direct Marketing Association (DMA) launched the app in August 2017 in conjunction with First Orion. This is the second fine for this business. They were also fined in 2013, see DM Design fined £90,000 in March 2013. 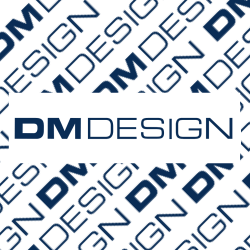 Glasgow based DM Design Bedrooms Ltd have been fined £160,000 by the Information Commissioners Office (ICO) for contact numbers registered with the Telephone Preference Service (TPS). 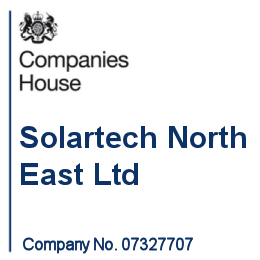 Trading under the brand name Hometech Home Improvements, Middlesbrough based Solartech North East Ltd have been fined £90,000 by the Information Commissioners Office (ICO) for calling numbers registered on the Telephone Preference Service (TPS) register. Solartech first came to the attention of the ICO whilst advertising itself as a Microgeneration Certification Scheme (MCS), but its main activity now is windows, doors and roofing. 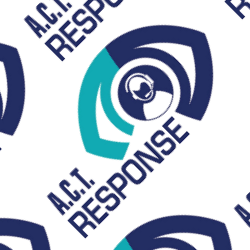 Cleveland based ACT Response Ltd have been fined £140,000 by the ICO for calling data taken from a telephone directory and failing to screen it against the Telephone Preference Service (TPS) register beforehand. The Information Commissioner (ICO) received a high number of complaints about the company, although the exact number wasn’t specified. The amount of emails and calls about GDPR is endless. On the one hand we have to know this stuff, but on the other hand we want to strangle the Information Commissioners Office (ICO) for taking on board something that is forcing the average business owner to become a compliance expert. GDPR is complicated for the best of us. 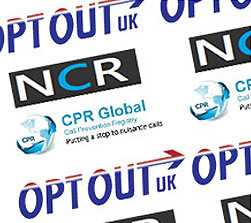 Manchester based Oaklands Assist UK Ltd has been fined £150,000 by the Information Commissioner’s Office (ICO) for making thousands of nuisance direct marketing phone calls to numbers register on the Telephone Preference Service (TPS). 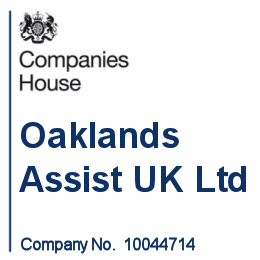 In what some might see as a rather short period of time (May to July 2017), Oaklands Assist UK Ltd made 63,724 calls to people registered with the TPS. 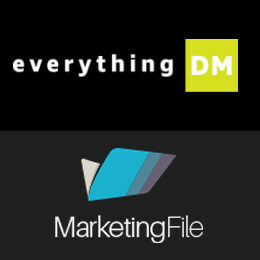 Long established Marketingfile Ltd (now Everything DM Ltd) has been fined £60,000 by the ICO for breaches of the Privacy Electronic Communications Regulations (PECR). The Privacy Electronic Communications Regulations govern Telephone Preference Service (TPS) screening. 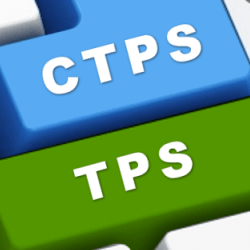 TPS, CTPS or both? That’s the question. We get customers regularly asking whether or not they should be screening against just the Telephone Preference Service (TPS), just the Corporate Telephone Preference Service (CTPS) or both? So we thought we’d clarify the differences. Both registers perform the same task, but for two distinctly different sets of telephone numbers. Here we explain what each register is, the differences between them and why you might want to screen against both even though you legally don’t have to. 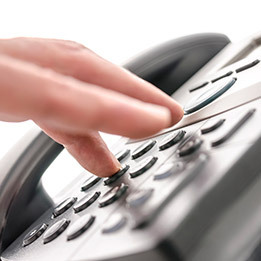 East Sussex based AMS Marketing Ltd has been fined by the ICO £100,000 for calling numbers registered on the Telephone Preference Service (TPS) register. 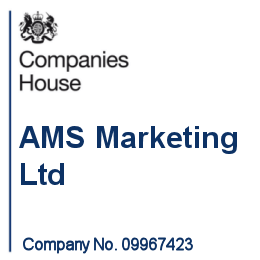 AMS Marketing Ltd first came to the Information Commissioners Office (ICO) attention when the number of consumer complaints associated with one of their telephone numbers put them on the ICO’s Monthly Threat Assessment list. 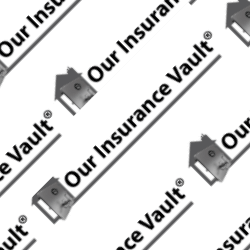 Our Vault Ltd was generating leads for its sister company, and FCA regulated business, ST&R Ltd. Sometimes it’s difficult to work out just how many complaints will get you on the radar of the Information Commissioners Office (ICO). 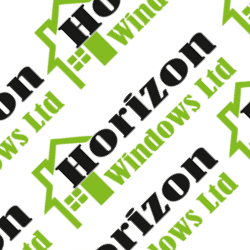 Well Horizon Windows Ltd got there for 104 complaints made against them for calling numbers registered with the Telephone Preference Service (TPS) between January 2016 and January 2017. That’s an average of 8 complaints a month. GDPR stands for General Data Protection Regulation and is the new Data Protection regulations that came into law on 25th May 2018. It’s essentially stricter than the Data Protection (DPA) Act 1998 it replaces. Companies have been flouting the DPA for many years, growing lazy and managing their data in ways designed solely not to create problems or complaints. 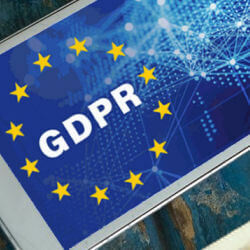 GDPR now places many of these businesses in a potentially difficult situation as failure to comply with GDPR has lots of potential consequences. Compliance these days is a nightmare on so many different levels, but it can be frustrating to those businesses trying to do things properly to be faced with competition from companies like IAG Nationwide Ltd who, or so it would appear, adopt aggressive telemarketing tactics, hide their identity, don’t operate proper Do Not Call (DNC) procedures and break the rules on calling people registered with the Telephone Preference Service (TPS). 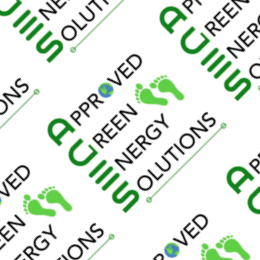 West Yorkshire based Approved Green Energy Solutions (a trading name of Mr Alex Goldthorpe) has been fined £150,000 by the Information Commissioners Office (ICO) for calling consumers registered on the Telephone Preference Service (TPS). 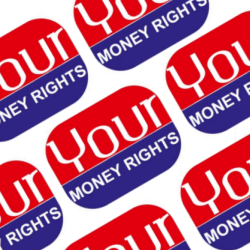 Darlington based Your Money Rights Ltd, have been fined £350,000 by the Information Commissioners Office (ICO) for sending automated calls to consumers. Automated calls are regulated under the Privacy Electronic Communications Regulations (PECR - pronounced “peck-ra”). Sending calls is perfectly legal, but only if you have the proper consent from the recipients. Between 6 April 2015 and 27 April 2017, the TPS received 201 complaints (that averages about 8 complaints per month) from consumers about calls from True Telecom, despite having been registered on the TPS. 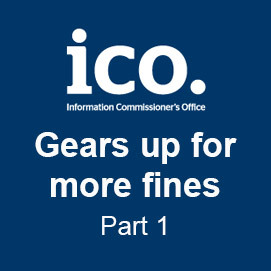 The Information Commissioner’s Office (ICO) issued a fine of £70,000 to H.P.A.S. 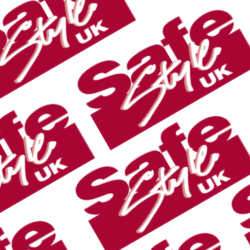 t/a Safestyle UK reminding companies making direct marketing calls to people registered with the Telephone Preference Service is “off limits“. H.P.A.S. Ltd (trading as Safestyle UK) broke the law when they called people who were registered with TPS, although it may not be quite as clear cut to some of you. In addition to file based certificates, you can now print a certificate for a specific number. 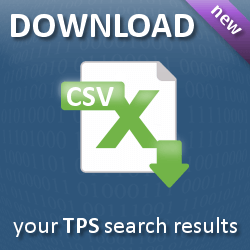 Once you've screened your data, you can now search it and download your results to a CSV file. This feature should help with passing information internally within your organisation when there is a complaint to investigate or to external bodies such as auditors, or compliance teams. The burden of Data Compliance is ever increasing. When a business receives a complaint from the Information Commissioners Office (ICO) it can be often relate to an alleged call made many months in the past. This leaves businesses having to check through countless files to see if they did in fact screen the number or not. 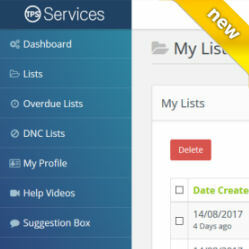 Well TPS Services has launched a new feature that will store the history on all the numbers you’ve checked (if you opt to do so) and allow you to run searches on your number check history for up to 12 months. How we use data has been under intense scrutiny by every regulator since the end of 2015. Since that time, the word has spread and many companies are learning that there’s more due diligence required when buying and using data than they realised. You simply cannot buy ‘anything’ from ‘anyone’, at least not anymore. 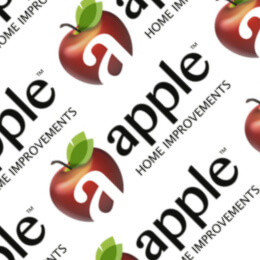 Brighter Home Solutions fined £50,000 for TPS complaints. 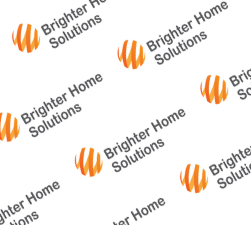 Brighter Home Solutions Ltd, an Essex based double-glazing company, have been fined £50,000 by the Information Commissioners Office (ICO) for making calls without screening against the Telephone Preference Service (TPS). 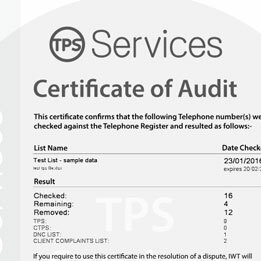 Between 4th January 2016 – 26th August 2016 the ICO received 187 complaints, 160 directly to the TPS, from consumers complaining about being called whilst on the TPS, but also about being misled by the call itself- in many cases Brighter Home Solutions presented a false number, making it look like they were calling from a local number. The Unsolicited Marketing Communications (Company Directors) Bill, which is the Bill that was proposing to make Directors personally liable for breaches of the Privacy Electronic Communications Regulations (PECR), has “fallen” at the close of Parliament today (3rd May 2017). Although the Digital Economy Bill was passed on the 27th April 2017, which put the ICO’s Guidance on Direct Marketing on a statutory footing, the director’s liabilities Bill was dropped, at least for now. 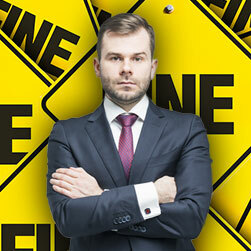 This means that the fear factor of personal fines for company directors has for the time being gone away. What is "TPS online UK ECOM"? For years now, consumers have been confused by the appearance of transactions on their bank and credit card statements showing “TPS online UK ECOM”. TPS online UK ECOM is in fact The Perfume Shop (online, in the UK and ECOM stands for “Ecommerce“). So if you have TPS Online UK ECOM on your bank or credit card statement, the chances are that you’ve made a purchase from the Perfume Shop recently. This is an unusual case, The Data Supply Company Ltd is the first list broker to be fined for selling data used in a text campaign by another company. An ICO investigation found The Data Supply Company had sold more than 580,000 records containing people’s details to a company that then used that data to send text messages. This resulted in 21,000 spam texts being sent by the firm who bought the information and result in 174 complaints. The company is a list broker, one of the key focus areas of the ICO at present. 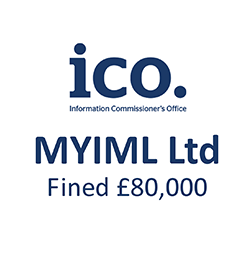 Bury based LAD Media Ltd have been fined by the Information Commissioners Office (ICO). 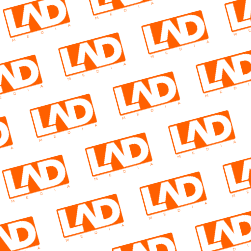 LAD Media are a lead generation and data brokerage company, two of the data related business areas most recently being targeted by the ICO. 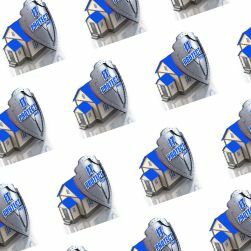 Over a 2 month period between early January 2016 and early March 2016, the ICO received 158 complaints about the company sending unsolicited direct marketing messages. IT Protect Ltd have been fined £40,000 by the Information Commissioners Office (ICO) for, amongst other things, 122 complaints made to the Telephone Preference Service (TPS). 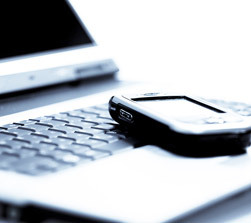 IT protect Ltd was operating a business selling Call Blocking solutions. 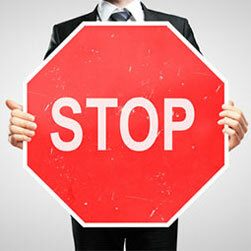 Companies offering call blocking solutions have been growing in numbers over the last couple of years. 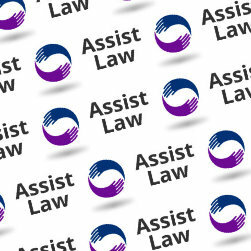 Assist Law Ltd Fined £30,000 for TPS Complaints. 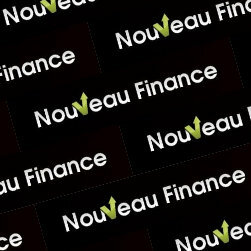 Nouveau Finance Ltd fined £70,000 by the ICO for 92 complaints. Ninety Two (92) complaints, that’s all it took to land Nouveau Finance Ltd in hot water with the Information Commissioners Office (ICO) for spamming. Although the fine related to spam texts, it could just as easily have been email or automated voice messages. The law applies in exactly the same way. Nouveau Finance Ltd sent around 2.2 million illegal marketing text messages over a six month period advertising a loan matching service to generate loan leads. The Privacy Electronic Communications Regulations (PECR) first came into force in December 2003. Since then there have been 4 amendments. Now a 5th amendment planned for early 2017 will make Directors personally liable for breaches under PECR. The proposal suggests that from Spring 2017 up to two directors can be fined up to £500,000 each meaning a total of £1 million in personal fines for PECR breaches. This is a very common problem in the marketing industry. Ocean Finance organised with a company to send text messages that it thought were ok to send, because its supplier said so, and ended up with a £130,000 fine from the Information Commissioners Office (ICO). What Ocean Finance didn’t realise, neither do many other companies both small and large, is that if you send texts, emails or automated voice messages your business is responsible for the sending regardless of whether you use your own data or data supplied by a third party. Glasgow based Omega Marketing Services Ltd has been fined £60,000 by the Information Commissioners Office (ICO) for calling people registered on the TPS. 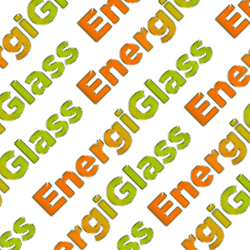 Omega Marketing Services Ltd made 1.6 million nuisance calls to sell solar panels and other green energy saving equipment. Although the company was only created in October 2015, within weeks it was on the ICO’s radar with a large number of complaints being received from consumers. Many of us will have worked with, heard of or received a call from a foreign call centre at some point in time. We know they exist, we know people use them, but has your business ever been tempted to use one? Here are some helpful tips on the Do’s and Don’ts when using a foreign call centre and what you need to know about the Telephone Preference Service (TPS). The TPS is a central opt out register whereby individuals can register their wish not to receive unsolicited sales and marketing telephone calls. It is a legal requirement that companies do not make such calls to numbers registered on the TPS. 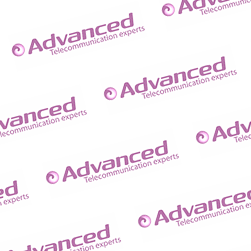 Cheshire based Advanced VoIP Solutions Ltd has been fined £180,000 by the Information Commissioners Office (ICO) for sending automated voice messages to consumers. 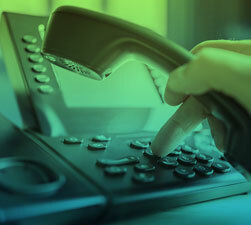 The £180,000 monetary penalty notice was issued to Advanced VoIP Solutions Ltd as a result of an ICO investigation prompted by 6,381 complaints. 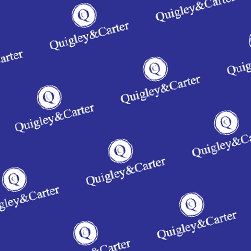 Quigley and Carter Ltd, a Manchester based company, has been fined £80,000 by the Information Commissioners Office (ICO) for sending spam text messages. The text messages led to over 2,600 complaints and sparked an ICO investigation. 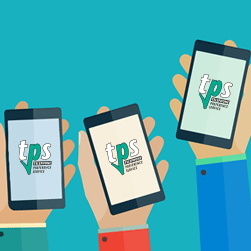 From 27th May 2016 people will be able to register their mobile numbers on the TPS by texting the word “TPS” followed by their email address to 85095. This has caused an obvious surge in registrations with some days seeing a tenfold increase and the highest day a whopping one hundred times the normal daily registrations. CLI stands for “Caller Line Identification”, in other words your phone number. Whether you feel that showing your CLI when you’re making calls is a good or a bad thing, the fact is that the decision has been made and legislation is on its way to force companies making calls to show a valid CLI or else face the wrath of OFCOM and the Information Commissioners Office (ICO). If you work in an environment that involves cold calling you could be forgiven for thinking that the Information Commissioners Office (ICO) is not a reasonable regulator. However, this case is a testimony to just how reasonable the ICO can actually be. 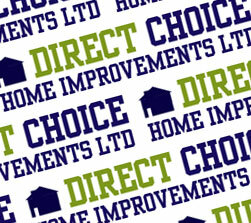 As far back as June 2014 Direct Choice Home Improvements Ltd were given notice that complaints had been received, but no further action would be taken. However, one year later in May 2015 the company was in the Telephone Preference Services (TPS) top 20 of complaints and then again in July, September and November 2015. 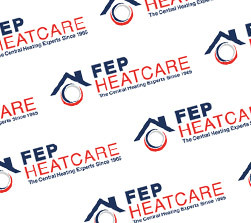 FEP Heatcare Ltd made over 2.5 million automated recorded calls promoting the company’s products and services putting them at the top of the ICO’s compliant list. Although the company withheld its number, ICO investigators were still able to trace the calls to the Glasgow-based company. Have you purchased any data recently? Then you should read this. There was a time (probably right up until August 2015*) when you could just simply buy data from a data broker and not worry about it. There was a sense of trust and understanding between data seller and data purchaser. Well that’s changing. The Information Commissioners Office (ICO) are clamping down, some might say getting their act together, and this could impact you and your business. 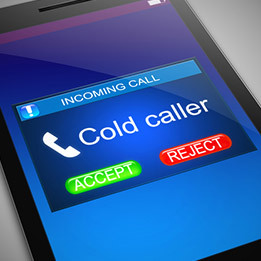 There was a time when people though that charities and political parties alike were considered to be immune from the rules governing cold calling. However, a recent fine issued by the Information Commissioners Office (ICO) to David Lammy MP shows that’s not the case. David Lammy organised for nearly 36,000 automated calls to be sent over a two day period playing a recorded message that urged people to back his campaign to be the Labour party candidate for the Mayor of London. Prodial Ltd fined £350,000 for automated calls. A West Sussex based lead generation company, responsible for over 46 million automated nuisance calls, has been fined £350,000 by the Information Commission’s Office (ICO). The ICO received over 1,000 complaints about automated calls relating to Payment Protection Insurance (PPI). 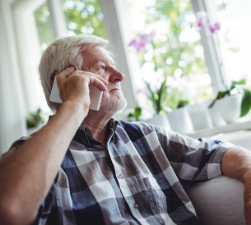 Complainants complained about receiving multiple calls which often carried no opt-out or live operator options effectively rendering consumers unable to stop them. 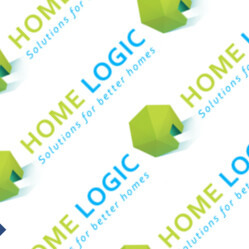 Brighton-based Prodial Ltd was operating out of a residential property and also hiding its identity by withholding its telephone number when making calls, which made it harder for people to report them. 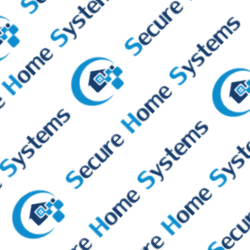 Dudley based Direct Security Marketing Ltd made nearly 40,000 automated calls in a single broadcast in just one day in an attempt to sell burglar alarms. Worryingly, 9,775 of these calls were made between 1am and 6am in the morning! The ICO received 49 complaints from consumers about calls received by them on 24th August 2015. So it seems that a single attempt at what might have been a new marketing method caused the company many problems. Who knows how they came across this marketing method or who sold it to them, but between the company and their supplier no one seemed to be aware of their obligations under the law. 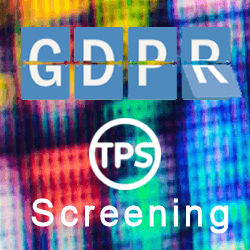 Many of our clients have asked us to provide proof that they have screened their files against the Telephone Preference Service (TPS) in order that they can evidence the fact to both clients and regulators that TPS screening has taken place. 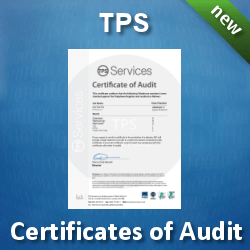 So with this in mind, TPS Services has now created a Certificate of Audit to evidence that a file has been TPS screened. You can pass these Certificates on to your clients to evidence that you have screened their files. 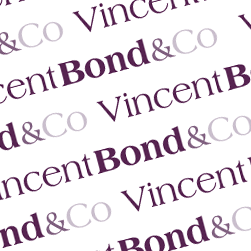 Zahier Hussain, trading under several business identities including the Industrial Hearing Clinic, the National Advice Clinic and the Central Compensation Office, has been fined £850,000 by the Claims Management Regulator (CMR). 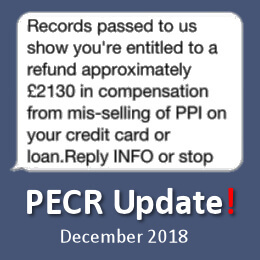 The TPS received nearly 2,000 complaints against the company prompting an investigation into the company's business practices and leading to the biggest fine to date from the Claims Management Regulator (MOJ) for a Claims Management Company (CMC). 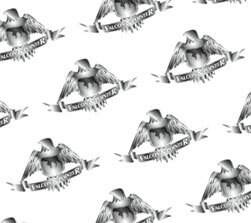 The ICO is taking the unprecedented step of writing to over 1,000 data suppliers as part of its ongoing battle against nuisance calls. The ICO believes that data companies play an important role in the compilation and trade of names, addresses and telephone numbers which in turn feeds the nuisance calls industry. When companies register for their Data Protection licence, they are required to identify if they trade in personal data. The ICO will be using this information to contact those companies. 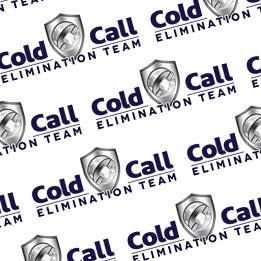 Cold Call Elimination Ltd fined £75,000 for calling numbers on the TPS. 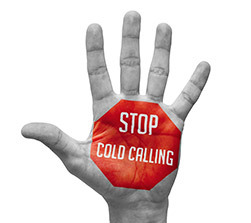 The ICO has fined Cold Call Elimination Ltd £75,000 for making unsolicited marketing calls to sell cold call blocking devices. 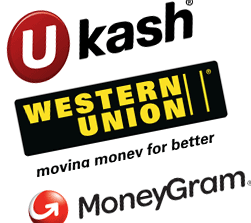 The total number of TPS complaints received against the company between the 14 June 2013 and 31st March 2015 was 382. That's the equivalent to £196 per complaint or around £3,500 per month. 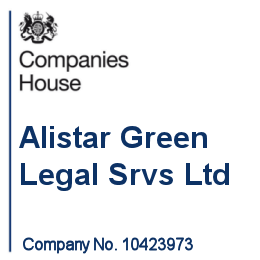 Judging by the last set of accounts filed at Companies House, it would seem that the fine is such a high price to pay that the company may not be able to afford it. Whatever business they thought they were trying to build, this fine probably just ended it. Stark reality for companies breaching TPS regulations. 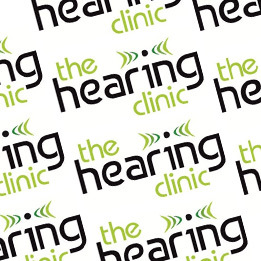 Aurangzeb Iqbal (CRM 31218) trading as The Hearing Clinic (formerly trading under www.thehearingclinic.co) has been fined £220,000 by the Claims Management Regulator (MOJ) for calling people registered on the TPS. The fine is the first to be issued by the Claims Management Regulator (the MOJ) since the government changed the law in December 2014 to introduce the fining power. 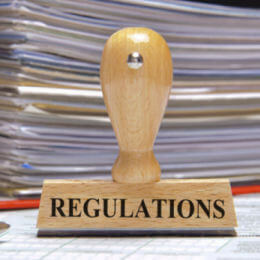 Firms found breaching the regulator’s rules of conduct now face fines of up to 20% of their annual turnover, as well as having their trading licence suspended or removed. Point One Marketing Ltd (formerly Conservo Digital Ltd) has been fined £50,000 for 731 TPS breaches over a 14 month period (1st Feb 2014 - 31st March 2015) so that's £68.40 per breach or £3,571 per month. An ICO investigation discovered Direct Assist instructed its staff to deliberately use phone numbers from lists they knew included people on the TPS and they did not screen them before calling. Today, the ICO raided a call centre in Hove, Sussex thought to be responsible for making millions of nuisance calls. It's believed that the business was using automatic dialling technology up to six million recorded telephone calls a day about Debt Management or Payment Protection Insurance (PPI). The calls were made anonymously by withholding the senders ID, were without consent and in such a way as to make it impossible to opt out of receiving them. 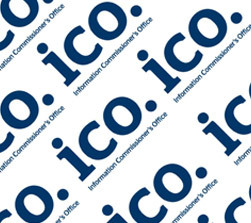 On 6th April this year the ICO will get some new powers following a recent announcement by the Department for Culture, Media and Sport (DCMS) that it will make it easier for the ICO to take action against companies making nuisance calls and sending spam texts. The ICO currently has the power to issue monetary penalties of up to £500,000, but to do so requires them prove ‘substantial damage or distress’. We won't bore you with what that means, but the point is that test will no longer apply and businesses can now expect the ICO to be levying fines pretty much when it feels like it. 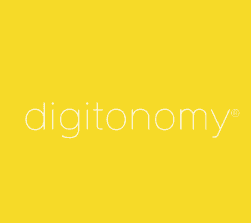 With no formal threshold in place, it seems that the ICO will have to use its 'discretion'. If you've ever dealt with a regulator, you'll understand when we say 'discretion' rarely seems to fall on the side of the business! PLT Anti-Marketing Ltd charges to 'block calls' still trading, despite government attempts to close it down. 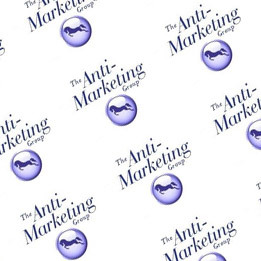 Attempts to close down PLT Anti-Marketing Ltd, which charges £4 a month to stop junk mail and block unwanted calls, is still caught up in a legal wrangle with the UK Government. PLT Anti Marketing wants to be allowed to tell customers that it uses the free services (TPS and MPS) to block unwanted mail and calls – but not that the services are available for free. It wants to be able to continue deceiving consumers into paying for a service that is not only free, but intended to be free. 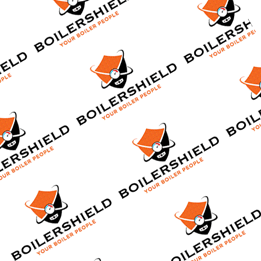 Kwik Fix Plumbers Ltd (formerly Boiler Shield Ltd) of Croydon have been fined £90,000 by the Information Commissioner’s Office (ICO) for making nuisance calls harassing vulnerable individuals. 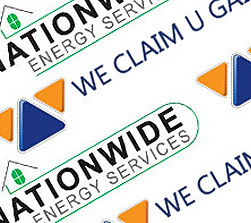 In several cases, the calls resulted in older people paying for boiler insurance it appeared they didn’t need. 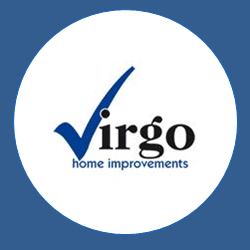 Kwik Fix Plumbers Ltd had 214 complaints to the ICO and the Telephone Preference Service (TPS). The complaints were received between 1st July 2013 and 31st March 2014. The recipients of the calls were already registered with the TPS and had not previously consented to being called by the company. However, Kwik Fix Plumbers Ltd continued to contact these people in breach of the law. 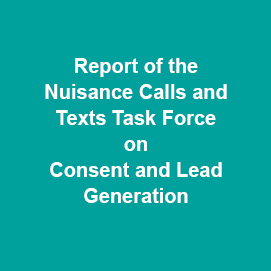 The Nuisance Calls and Texts Task Force report Consent and Lead Generation was convened by Which? 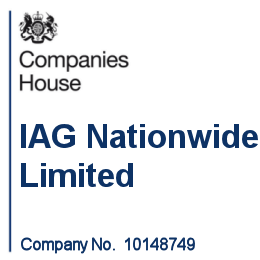 at the request of the Department of Culture, Media and Sport (DCMS), following the publication of the DCMS Nuisance Calls Action Plan in March 2014. In Part 1 we made you aware of the impending changes to the way in which fines for breaching TPS regulations were going to operate. Now we cover the kind of action that the ICO can take against your business if you fail to operate proper call screening procedures. Where a consumer feels that they have received an unwanted marketing call, they can register their concern with the ICO by phone or online. The ICO has a dedicated team that considers complaints, investigates breaches and can take formal enforcement action against those organisations or individuals who breach them. The ICO is seeking to lower the legal threshold at which it can issue a fine to organisations contravening the TPS and Privacy and Electronic Communications Regulations (PECR). This will cover direct marketing calls (live and automated), SMS text messages as well as fax messages and marketing emails. 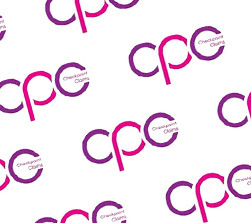 The Department for Culture, Media and Sport (DCMS) is leading the consultation as it has ownership of the PECR, whilst the ICO has enforcement responsibility and the Ministry of Justice (MOJ) has policy responsibility for Data Protection. 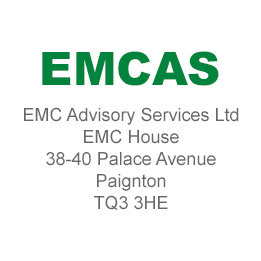 The Information Commissioner’s Office (ICO) has issued a £70,000 fine to EMC Advisory Services Limited, a Devon based marketing firm, for making calls to people registered on the Telephone Preference Services (TPS). The company was responsible for 630 complaints to the ICO and the TPS between 1st March 2013 and 28th February 2014. So to be clear, that’s only 52 complaints per month which probably equates to a tiny fraction of the calls made by the company, but resulted in a fine equating to £195 per complaint. 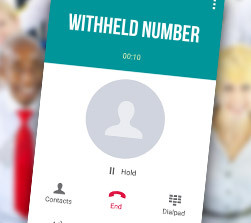 The Information Commissioner’s Office (ICO) has served Camarthen-based direct marketing company Winchester and Deakin Ltd (also trading as Rapid Legal and Scarlet Reclaim) with an enforcement notice ordering them to stop making nuisance calls. The move comes after an investigation discovered they had made unsolicited marketing calls to people who had registered with the Telephone Preference Service (TPS) or who had asked not to be contacted and for whom Winchester and Deakin Ltd had not properly screened their data against the TPS or an internal Do Not Call (DNC) list prior to making those calls. 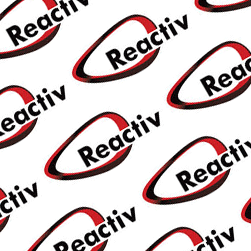 The Information Commissioner’s Office (ICO) has served digital marketing company Reactiv Media Limited with a £50,000 fine after an investigation discovered they had made unsolicited marketing calls to people who had registered with the Telephone Preference Service (TPS). Between the period November 2012 and December 2013 the TPS received 481 complaints from individuals who had received unsolicited calls from Reactiv Media Limited despite being registered with the TPS. The ICO also received 120 complaints. 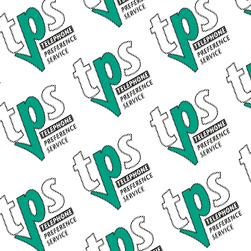 Just how effective is Telephone Preference Service (TPS)? 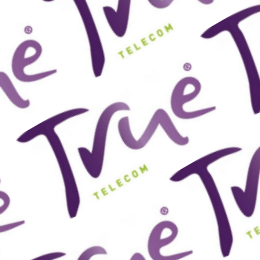 Regardless of what people claim, signing up to the Telephone Preference Service does reduce the number of unsolicited live marketing or sales calls consumers receive by around one third and that's according to a recent report released by OFCOM. The TPS is a free service for consumers enabling them to opt-out of receiving unsolicited live sales or marketing calls. Organisations are not supposed to make calls to consumers or companies who have signed up to the TPS register, unless they have given their prior consent. Some rogue companies ignore these rules, which is why some consumers registered with the TPS continue to receive nuisance marketing calls. 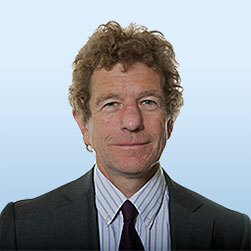 Lord Faulks QC announces large fines faced by rogue claims firms bombarding people with nuisance calls. Plans to increase the level of fines levied on firms that make nuisance calls have been given the go-ahead by the government. Companies could face fines of up to 20% of their annual turnover for gathering information by the use of unsolicited calls and texts. ‘Stop now’ order issued to Glasgow marketing company. 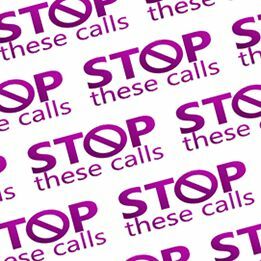 A marketing company based in Paisley, Glasgow has been ordered by The Information Commissioner’s Office (ICO) to stop bombarding the public with nuisance marketing calls. DC Marketing Limited made the calls to try and get people to purchase solar panels partly financed by the Green Deal Home Improvement Fund. An ICO investigation found the company also frequently gave a false name to avoid detection. Wragby-based data services specialists ADMAR online is set to close. 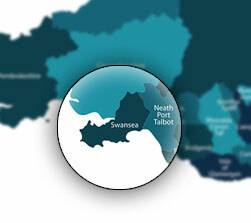 The firm has been trading for close to 25 years, providing a data bureau service. However, at a meeting of its directors held on Tuesday May 6th they decided that it should close. 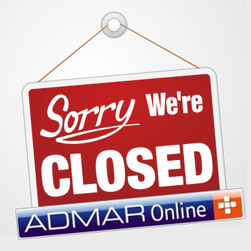 The ADMAR website will be shut down as early as the week commencing 12th May 2014. 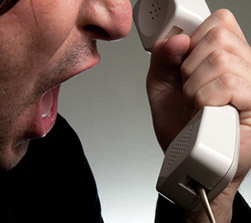 The wheels are in motion that could soon make it easier to fine firms that pester members of the public with nuisance calls, including breaches of the Telephone Preference Service (the Government back solution to stopping unwanted sales calls for consumers and businesses alike). The UK has recently seen yet more enforcement activity against companies breaching the Privacy Electronic Communication Regulations (PECR) with Trading Standards in Dorset taking enforcement action for what is thought to be the very first time against cold callers. 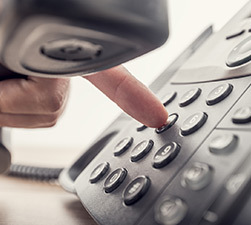 The Information Commissioner’s Office (ICO) has ordered two telephone marketing companies in North West England to clean up their practices after over 100 reports were made to the regulator that the companies were making nuisance marketing calls. 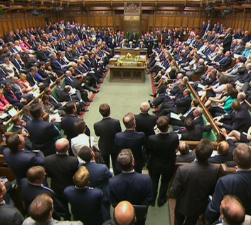 Mr Alun Cairns, MP for The Vale of Glamorgan, has tabled a backbencher’s 10-minute rule bill in the House of Commons on the issue of Nuisance Calls. 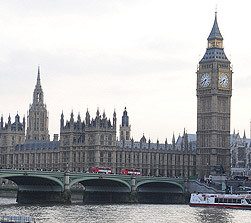 The proposed new law would force companies to reveal their phone number to householders. This would enable people to complain effectively about cold-calling companies if they wanted to. 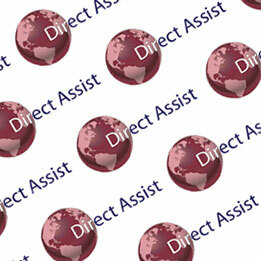 On 31st October 2013, the Direct Marketing Association (DMA) announced its new TPS Assured scheme for responsible telemarketers. 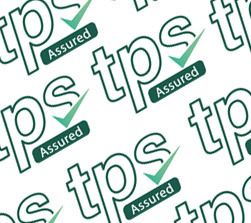 The new scheme is aimed at helping to promote an organisations compliance to good telemarketing practice and to demonstrate this to both its prospective clients and the public generally by the use of new TPS Assured logo. The Information Commissioner’s Office (ICO) has issued a Manchester company with a fine of £45,000 for blighting the public with unwanted marketing calls. The ICO proposed to issue a fine of £90,000, but after taking into account the company’s financial situation it reduced the fine to £45,000. 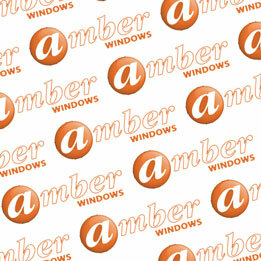 Tameside Energy Services Limited describes itself as a company which offers a range of energy efficiency improvements. 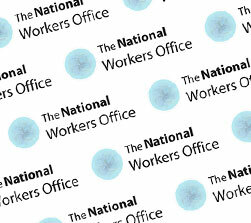 Between 26 May 2011 and 31 January 2013 the company was found to be responsible for over 1,000 complaints to the Telephone Preference Service (TPS) and the ICO. In one case an 80 year old lady decided to complain after continuing to receive calls despite informing the company on 20 separate occasions that they must stop. The Information Commissioner’s Office (ICO) has today issued two fines totalling £225,000 to two companies at the centre of the BBC Three programme ‘The Call Centre’. The fines include the first fine issued against a company linked to nuisance calls relating to Payment Protection Insurance (PPI). A recent survey by consumer champions Which? 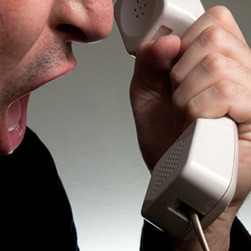 (www.which.co.uk) found that 85% of people are still being plagued by unwanted phone calls, with one in 10 of them receiving, on average, a whopping 50 or more unsolicited calls each month. Nearly nineteen million phone numbers are registered on the TPS, but it seems that many of the registered TPS users interviewed by Which? were not happy with the service. Which? sampled 2,070 people in the UK and about 6 in 10 people registered with the TPS were not satisfied with its service. 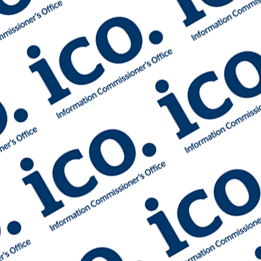 The Information Commissioner’s Office (ICO) has issued a fine of £90,000 to a company that has blighted the public with thousands of unwanted marketing calls. The Telephone Preference Service is run by the Direct Marketing Association on behalf of Ofcom and is completely free to consumers. The TPS will not call a subscriber of the service to ask for personal details or payment to complete a registration. If you have registered via the web and have received an e-mail confirmation and clicked on the attached link, that's it! Your number will be registered for FREE on the TPS register which is used by thousands of legitimate companies to screen their outbound call lists. Complaints about unsolicited calls and texts from sales and marketing companies have reached an all-time high, but one man took it upon himself to fight back. A man from Middlesex, successfully claimed back the cost of his time from a firm which called him when he had specifically asked them not to.